(Kabul) The US removed the Taliban in 2002 and since then has spent an inordinate amount of money on trying to rebuild the country. Of course it doesn't help that due to Islam the place not only was in the stone age physically , but is still there mentally. Which kind of explains how corruption, is rife and how it is excused by religion. (usually at the point of death). Which is why it has taken so long in which to effectively train the Afghan armed forces in which to defend the country from those who try to claim that 'Allah' is on their side. The Super Tucano is perfect for the Afghans, cheap to use easy to maintain .packs something of a punch (The A-29s, which were designed for close air support, carry a 20mm cannon below the fuselage, one 12.7mm machine gun under each wing and can also fire 70mm rockets and launch precision-guided bombs.) and get to conflict zones twice as fast as the Helicopter gunships currently used by the Afghans. Which kind of explains why it has been reported that the A29 has been thrown into the thick of things in Afghanistan and used in combat a number of times. 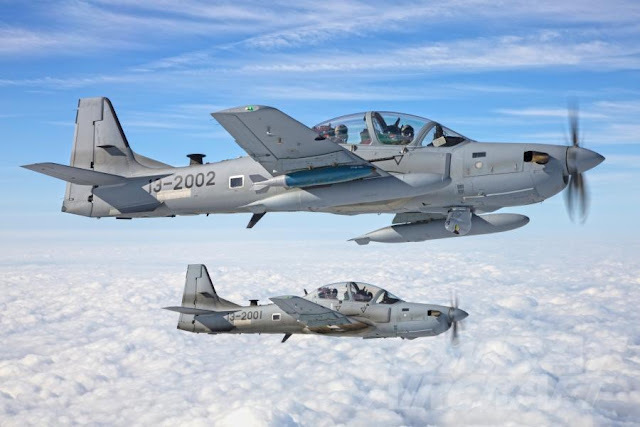 Foreign sources in Kabul stated that the AAF's A-29s conducted combat sorties in Badakhshan and an officer of the Afghan National Army (ANA) deployed to Badakhshan stated that three airstrikes were conducted in the Khostak valley in the district of Jurm, one of the main insurgency strongholds in the region. 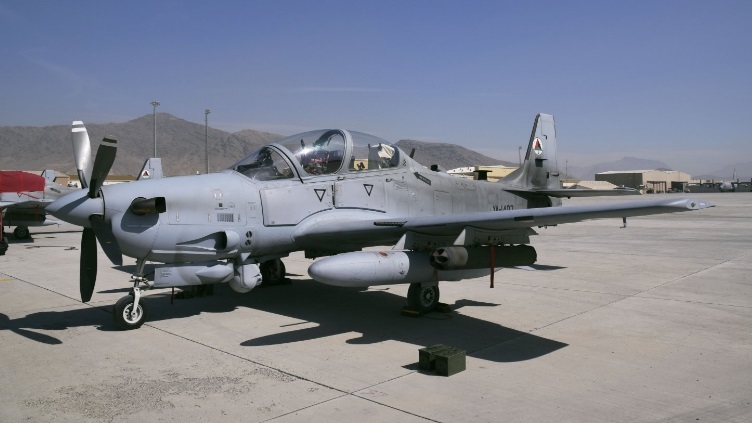 According to the officer, these were night operations launched from Kabul that targeted and killed three insurgent commanders: two locals as well as one commander who was reportedly a national of Tajikistan.